BMG has promoted Patrick Joest to Executive Vice President, Global Partnerships & Synch. Based at BMG’s head office in Berlin, Germany, Joest will report directly to CEO Hartwig Masuch. Joest’s promotion follows the appointment of music industry veteran Jonathan Palmer as Senior Vice President, Creative Synch in December 2018. As Global EVP, International Licensing & Marketing since 2014, Joest has been responsible for building and leading the company’s worldwide synch and brand marketing activities across both recordings and music publishing. Joest joined BMG in 2009 as Director, Licensing & Marketing International, only a couple of months after the company’s launch in October 2008. In his newly expanded role, Joest will now additionally oversee BMG’s B2B content partnerships, developing strategic relationships with digital and brand partners and establishing an internationally cohesive team that covers the company’s digital sales and marketing, social media management and content capabilities. 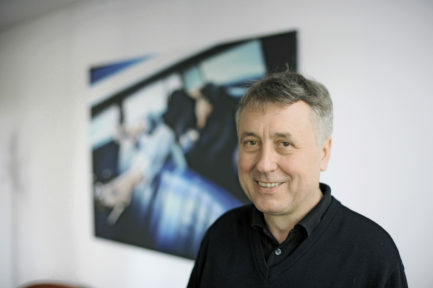 Prior to joining BMG, Joest established and headed the department of Music Consulting and Licensing for advertising, film and video games at Sony/ATV Music Publishing in Germany from 2002 to 2008. Formerly he served as Manager Talent & Artist Relations at MTV Central, following his first professional steps in the music industry at Sony Music and Frankfurt-based 3p Records, where he was active in the area of marketing. BMG CEO Hartwig Masuch said: “This is a significant new appointment to help BMG’s artist and songwriter clients secure the best commercial advantage from our relationships with digital and brand partners. “Since the earliest days of BMG, Patrick Joest has proven himself an astute and results-oriented executive, helping create arguably the most innovative approach to synch in the world. In December BMG announced that it is splitting its US repertoire organization into three, with its new structure seeing three key US offices, Los Angeles, Nashville, and New York, effectively having the same status as countries such as the UK and Germany and reporting directly to worldwide CEO Hartwig Masuch.